For body length, the vendor measures the back from the center top to the bottom hem. Step up your game in this stretchy 6.8-ounce, 90/10 poly/Spandex pullover. 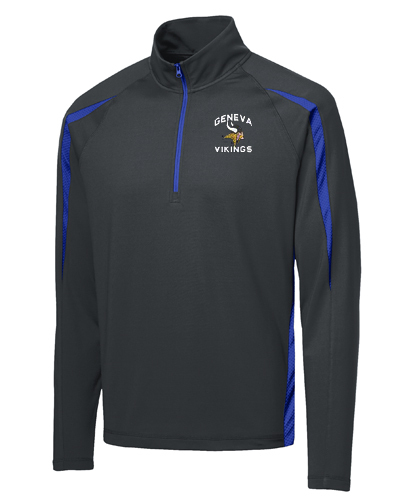 Microfleece lining and Sport-Wick moisture-wicking technology handles moisture so you stay warm and dry. Color splices on sleeves and side are subtly textured. Cadet collar, open cuffs and hem.